Honestly, there are few things more headache-inducing than the nightly "What are we going to have for dinner tonight?" saga. The choice itself is hard enough — and then, you have to dig through the fridge and pantry for ingredients... or worse, make a trip to the grocery store. It takes a lot of mental (and physical) energy and after a long days' work, who needs it? It's no wonder that meal delivery services have been growing in popularity lately. These days, there are tons of great options to choose from, no matter what your eating preferences and lifestyle are like. Many offer organic options, vegetarian options, locally-sourced options — you name it, it probably exists. Oh, and don't even get us started on the plethora of delicious recipes they've got on file. And you know what? They're actually not as much of a luxury purchase as you might expect. Think about how much money you spend at the grocery store on things you don't end up even using; all the extra ingredients you purchase that end up going bad and getting tossed into the trash — not to mention the wallet-emptying act of ordering take out multiple times per week. With many of these meal delivery kits ranging from $7-14/serving, you can get a high-quality, homecooked meal for a seriously fair price. Many of these services even offer breakfast, lunch, and dessert options as well. 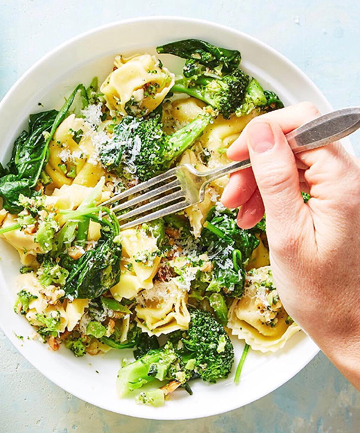 We've gathered all the must-know details from some of our favorite meal delivery services out there in order to help you choose the best one for you. Click through the slideshow ahead and pick your fave... or, give them all a try.